The Formosa Palm exudes the "tropical look" and is considered to be among the finest landscape and cultivated palms. This attractive clumping palm rarely grows more than 10' tall with a stem diameter of 6" and a spread up to 16'. The stems are cloaked with delicate black fibers. The Formosa palm has long graceful triangular fishtail-shaped (pinnate) leaves up to eight feet long. The dark olive-green leaves often twist gracefully, giving them a slight spiraling appearance. Leaflets spring from the midrib of each thornless stem and are dark-green to olive on their topside, and silvery beneath. The 5-8 inch long leaflets have an unusual and distinctive V (induplicate) cross-section and grow abundantly in a single plane off the stems. The spike-like flower stalks are borne among the leaves and have both male and female flowers, so a single Formosa palm can produce fertile seeds by itself. The red, orange or green flowers have a sweet fragrance and produce red to deep purple fruits. Each globular fruit is less than one inch in diameter and contains one to three seeds. The Formosa palm is native to islands south of Japan, including Taiwan (Formosa) and the Ryukyu Islands. It also has been reported from India. The Formosa Palm occurs on slopes in dense forests. In its native environment, the Formosa Palm enjoys moist soil and is tolerant of poor soils that have good drainage. The Formosa Palm thrives in rich, humusy and slightly acidic soils. For best results, the soil should be kept uniformly moist, not wet, and should have excellent drainage. The Formosa palm responds exceptionally well to applications of fertilizer and can grow reasonably quickly to a magnificent landscape subject. Formosa Palm is not tolerant of salt, salt spray or high winds. The Formosa Palm does well in semi-shade lighting. Some enthusiasts also report excellent success with Formosa Palms in sunny, sheltered gardens. Smaller Formosa Palms need protection from excess sun. Formosa Palm thrives in rich soils that are thoroughly moist and have excellent drainage. The Formosa Palm is not drought tolerant. Hardiness: USDA Zones 8B - 11. This Palm is considered extraordinarily adaptable and easy to cultivate. Mature and established plants can tolerate temperatures down to about 15-25 F for short periods. 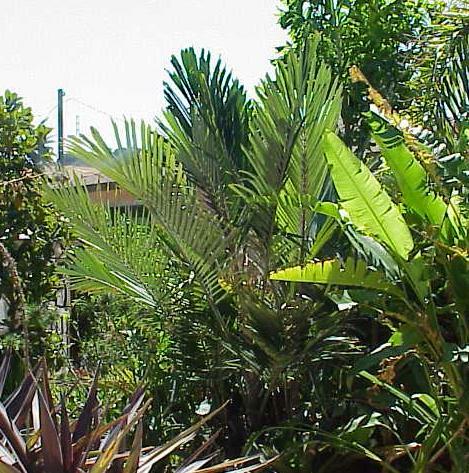 To ensure maximum cold hardiness it is recommended that the Formosa palm be planted in a protected understory. The small size of the Formosa Palm lends easily to being planted under a grove of trees or other protection. 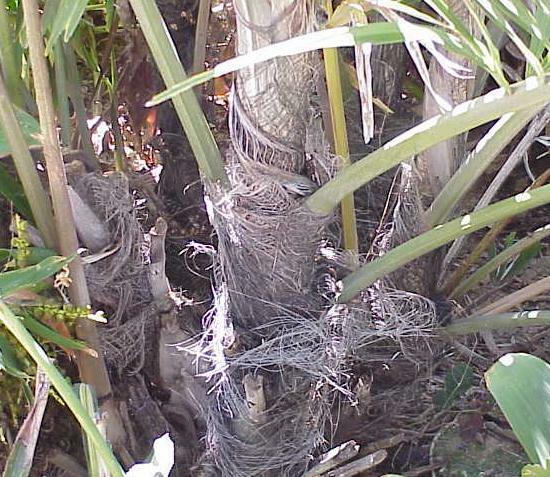 The Formosa Palm is propagated from seeds. Seeds are considered to have maximum viability for germination if they are planted no more than 4-6 weeks after the fruit has become ripe. Seeds have a wide range of germination times; some seeds may germinate very quickly, while others may take two years to sprout! Propagation also can be accomplished by division and removal of suckers but these may be slow to establish. Usage: The Formosa palm is undoubtedly one of the best palms to display the tropical look in subtropical and even temperate climates. It is best planted in a protected understory. The Formosa palm makes a great accent as it is considered to embody the tropical look. Formosa Palm displays very well as a potted specimen. The Formosa Palm exudes the essence of the tropical environment. Traditionally considered a tropical palm, it is remarkable that the Formosa Palm has proven viable for landscapes in both temperate and subtropical climate zones. Formosa Palm leaflets have a rare and distinctive V (induplicate) cross-section. This palm and other palms of this genus are used to make sugar, starch, wine and fiber. The species name, engleri honors H.G.A. Engler, the famous German botanist who collected widely in the tropics. The generic name, Arenga, is the Latin form of the Javanese or Malay name for a palm of this genus. Be careful; the fruit of this palm can cause severe allergic reactions in the skin. Wear gloves when handling fresh fruit or seeds.